Stammtisch am 27. 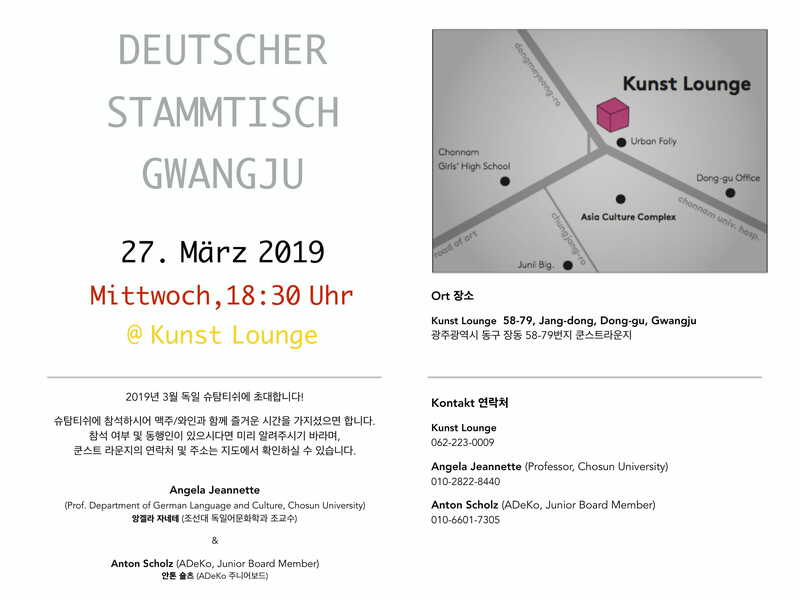 März im Kunst Lounge, Gwangju! We hope to see many of you for this special event! Please find the information on its time and location in the attached invitation file.